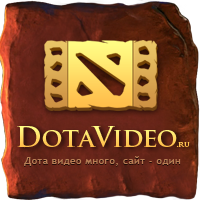 На русскомAn idea to create a video portal about DotA came to us at the beginning of 2011. Then future administrators of DotaVideo.ru started to work together in a company, and after workday they spend free time with playing DotA game. So, what do you think, for whom we created this huge database of DotA videos with automatically scanning of live-streams and another unique features? First of all, we want to raise-up DotA Videos at new level, at least among Russian community. We hope that our portal will help newbie gamers understand DotA gameplay and mechanics. It would be perfect, if gamers will learn any new tricks and tips in DotA, watch live-streams of best shoutcasters to improve their skills. A special attention was paid to make portal socially opened. Each moviemaker or shoutcaster can share their works with a public. We always open to mutual partnership! 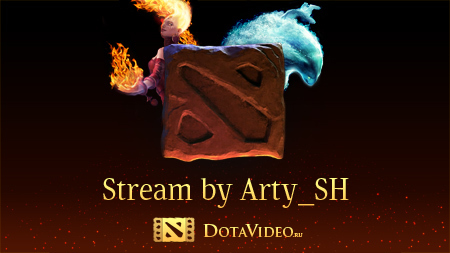 Dotavideo.ru is your own way to become successful and popular in DotA community! All of us like to see DotA video during dinner or lunch. Does anything can raise-up your mood after annoying defeat better than well-made DotA Movie? Stay with us, watch best DotA VOD’s, movies and streams and share brand new DotA clips and your own streams with other people! NB. We are opposing each advertisement on our portal. In cause of it we offer advertisement places for any organizations and websites in movies and streams. This way will make moviemakers able to earn their own money for works.